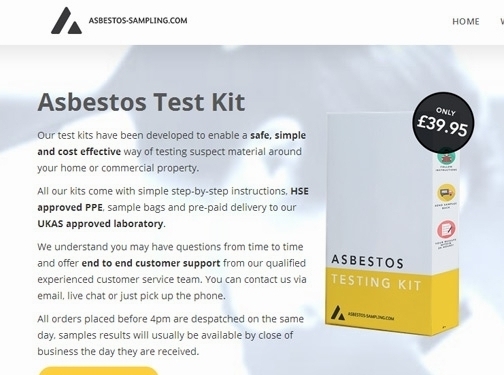 All our kits come with simple step-by-step instructions, HSE approved PPE, sample bags and pre-paid delivery to our UKAS approved laboratory. All orders placed before 4pm are despatched on the same day, samples results will usually be available by close of business the day they are received. 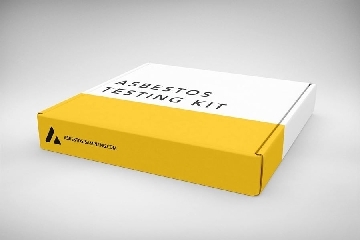 UK (Chorley) based business providing asbestos testing kits. Website includes e-commerce facilities, delivery and returns information, accreditations gained, full contact details including company registration number.